ITC's CloudManager is the online platform that can control remotely the Water Controller 3000 irrigation controller. 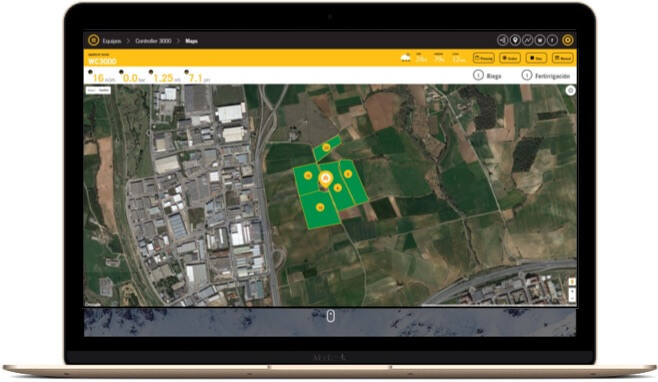 Intuitive application to set up the 50 irrigation programs as well as the 48 fertigation recipes in the Water Controller, and to monitor at real-time the parameters used as key indicators of the crop. All the actions can be done through the mobile or tablet via a direct WI-FI link with the unit in the field, or remotely through internet access. 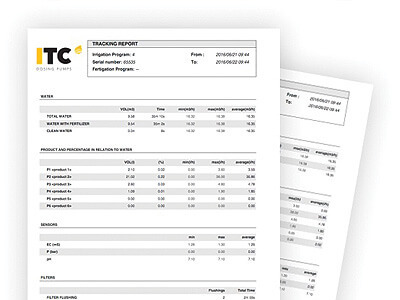 The app holds all the data which is easily displayed in graphics, spread sheet or pdf monthly reports (e.g.). All this information is stored in the ITC Cloud-Manager Server which is in continuous communication with the units in the field through a high secure encrypted m2m communication. Check if the irrigation program has started correctly with the appropriate flow rate and the provided valves from your phone or tablet. Alarms can also be programmed in case of anomaly. Of the installation water resources: the fact of being able to see the irrigation sectors drawn on a satellite image with each sector Flow allows to check, at a glance, if we have the system well organized. 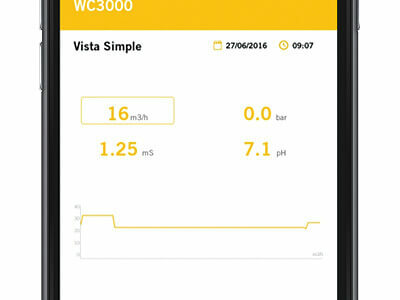 See the last 100 readings of EC, pH flow and pressure from your mobile device to check if the fertigation is being carried out correctly. If there are oscillations or problems to get the values ​​of pH or EC to setpoint, the adjustment parameters can be corrected from the mobile or tablet at the moment. 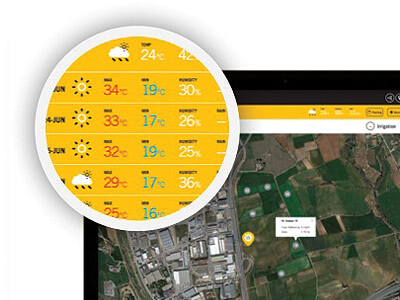 The CloudManager App offers the possibility of knowing the exact cost of the crop. Reports are generated automatically and allows to know the water consumption and fertilizers separated by sectors and by dates. Having the weather forecast to five days is very useful to anticipate what are the most appropriate actions that must be carried out.